from North Las Vegas Simply great! I shouldn't even have to suggest this book to fellow Austrian economics fans and students but I will just in case. 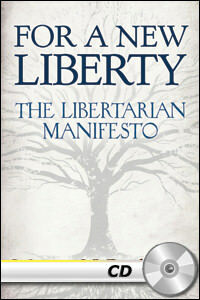 I cant imagine any other person who could write a better manifesto on libertarianism. This book ranks in my top three, along with Human Action and Atlas Shrugged. And tthe quality is top notch. It is read by Jeff Riggenbach, which means it is perfect in every way. I believe I have listened to every book read by Jeff from the Miss Institute. If only he could read them all. I have a couple that were read by others that were a little difficult to get through, one of them I can't continue. So if its read by Jeff I buy it.